behalf of insurance providers, businesses and professionals. Insurance carriers, businesses and professionals turn to Harris, Karstaedt, Jamison & Powers, P.C., for skilled defense representation and assistance with all civil litigation matters. 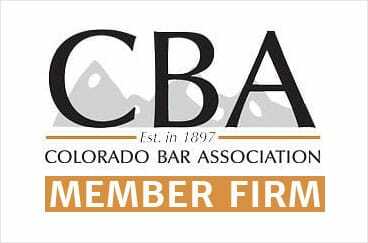 Since our founding in 1994, we have built one of Denver’s most respected law firms by providing cost-effective, premium service and results both in and out of court. Our record of success includes a long list of groundbreaking outcomes achieved on behalf of leading insurance companies, major manufacturers and retailers, and others. Based in the Denver metropolitan area, we represent Colorado-based clients as well as out-of-state clients. Our trial attorneys have the experience, knowledge and resources to handle the most complex and high-stakes civil litigation, including multiparty cases, multijurisdictional cases, class actions, appeals and more. Our focus is on representing insurance companies and their insureds in all insurance defense matters, including personal injury defense. We also represent businesses in commercial disputes of all kinds, including construction disputes and disputes with employees. In every case, we zero in on the specific needs of the client and devise a legal strategy designed to achieve the desired outcome, regardless of what challenges must be overcome. As true trial lawyers, we are prepared to argue every case in the courtroom. One of the many advantages of working with our law firm is our strong ties to the community. Out-of-state lawyers and clients retain us as local or regional counsel with the knowledge that we are intimately familiar with the local bar and judiciary. We understand how to craft an argument that the men and women who may sit on a Colorado jury will find compelling. If you have a civil litigation matter, we invite you to contact the trial attorneys at HKJP. We offer experienced, cost-effective representation tailored to fit your needs. We have participated in flat fee and alternative fee arrangements since our inception and remain committed to working with clients to arrive at compensation agreements that are reasonable and predictable. Call 720-875-9140 or send an email for more information.